Alex Whitworth was invited up to Devon Island by Pascal Lee as part of the summer programme for the Haughton Mars Project and flew up there on August 1st, 2010 for about 10 days – almost exactly two years since they got so close in Berrimilla, close enough in 2008 to see the cliffs behind BeecheyBeechey Island is an island located in the Canadian Arctic Archipelago of Nunavut, Canada. More on wikipedia Island [links]. 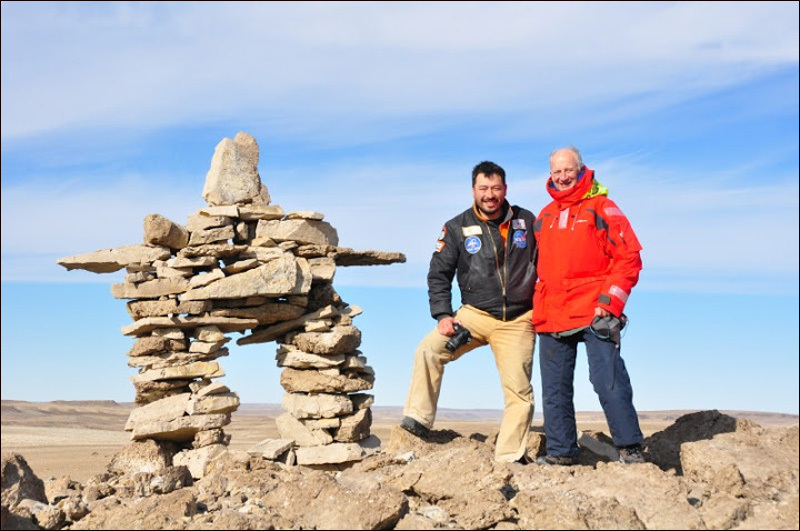 We are standing next to the memorial InuksukA stone landmark or cairn built by humans, used by the Inuit, Inupiat, Kalaallit, Yupik, and other peoples of the Arctic region of North America. More here (Wikipedia) for Astronaut Michael P Anderson who died when the Space Shuttle Columbia broke up on Feb. 1 2003. 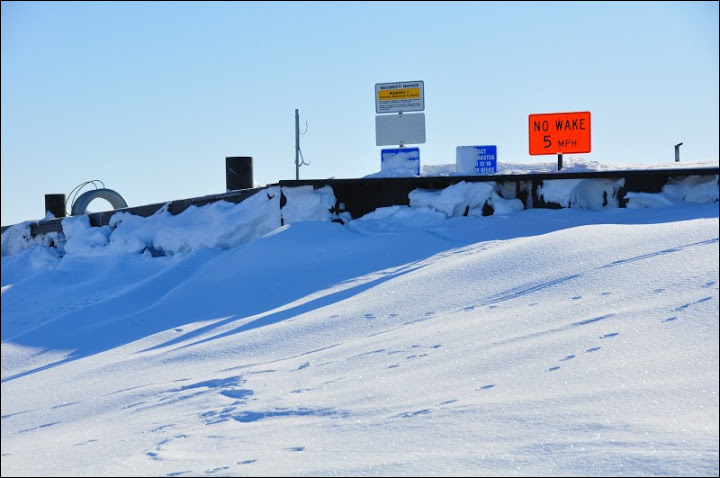 This is the western end of the inner breakwater in Nome in winter. The ice under the snowdrift is several feet thick – rather dirrerent from the day we sailed Berrimilla out of the harbour and towards the Bering Strait. We knew it was the right time to leave but there was some serious trepidation about the next 3000 miles or so. 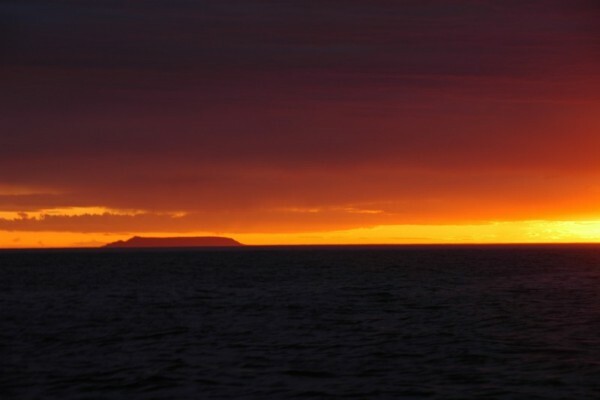 I took the photo from a snowmobile and then hooned out to the outer breakwater and beyond, to the spot where I took the early morning photo of Sledge Island on July 4th as we sailed into Nome. Eerie feeling. Sledge Island, March 9th 2011, from about the same spot. Longer lens, so it looks closer.